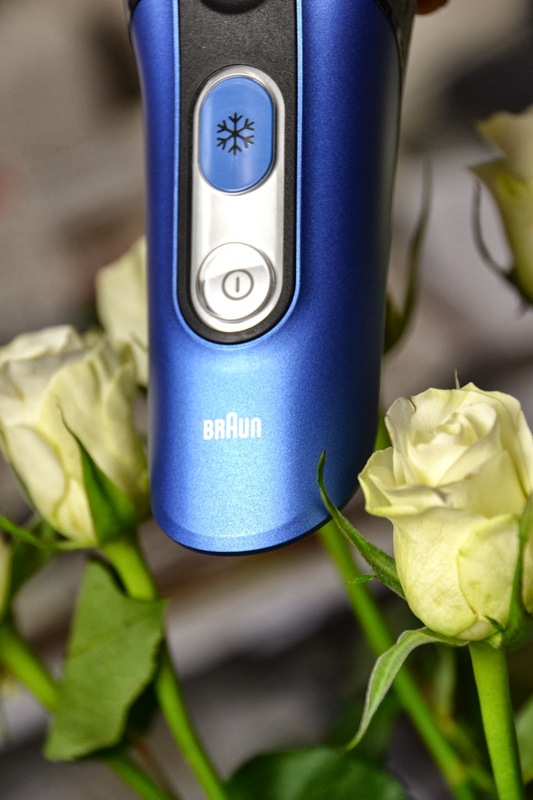 After using this new Braun shaver for several weeks now, he clearly noticed a skin difference after shaving. Normally his skin feels irritated and dry which is probably caused by the heat that normal shavers produce while shaving. The cooling technology from the Braun CoolTec prevents the skin from getting irritated while shaving (aka looking less red). The trimmer for the longer hairs is really handy. It's one of those things which a new shaver needs to have, he says! Sometimes he wants to let his beard grow a bit and when he is tiered of the look (mostly after 3 or 4 days) he uses the trimmer first before shaving to get the best result. 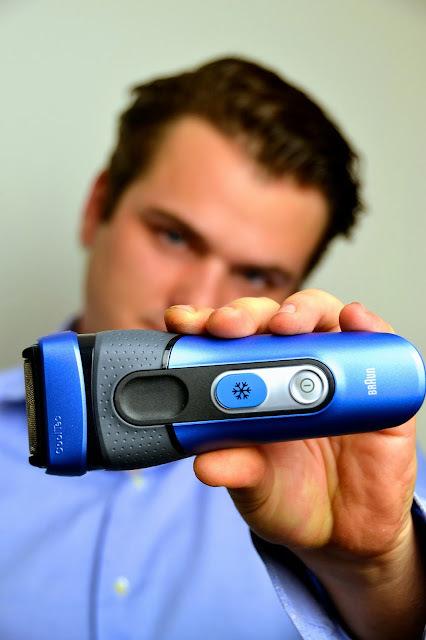 This shaver is waterproof up to 5 meters and quick charges in just 5 minutes for when it's urgent!